What makes the perfect modern dining room? A perfect modern dining room should be somewhere which you want to spend time sitting and relaxing with your family or friends! The surroundings should be chic and well put together in order to create the modern look and you should choose furniture which is both comfortable and stylish. From breakfast to dinner, your dining room should be an important place in your home which brings your loved ones together. 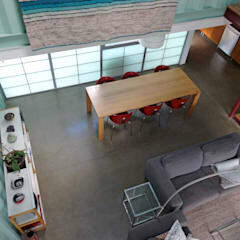 In order to create a perfect look, you should begin researching your modern dining room options in advance so that you are sure of what you would like before you begin. If you have ideas in advance then it can be a lot easier to find deals when searching for furniture and you can also find pieces which you like more easily! Tables and chairs can be expensive and so make sure that you have researched cheaper alternatives! Where can I find modern dining room ideas & inspiration? 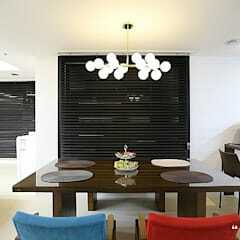 There are many places in which you can find modern dining room ideas from online to your friend’s homes. The modern dining room décor is one which is very popular currently and so you will find that inspiration is not too hard to find! There are many innovative ideas online, you could try following interior designer blogs or even just use homify! You may find inspiration in places which you may not expect – so remember to always keep an eye out. For example, ideas could even be found in hotels and restaurants. If you have no experience and are really unsure of how to begin the process, then it may be worth speaking to an interior designer. 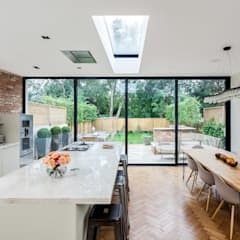 Although the work of a professional may not be cheap, their knowledge can be invaluable when it comes to creating a perfect modern dining room for you and your family. In order to find the right interior designer for you, there is always the option of using the directory on homify. By doing this, you can ensure that the person you choose lives close by, has good references and is qualified! 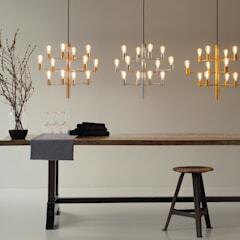 They may also be able to help you find some really innovative ideas and inspirations for the modern dining room. How do I design my dining room in modern style? In order to design your modern dining room, you should spend time planning in advance so that you know exactly what you want! Finding inspiration before you begin is highly recommended. You should take into account the colours which you want in your dining room and remember to choose those which work well with the style – this includes neutral shades. 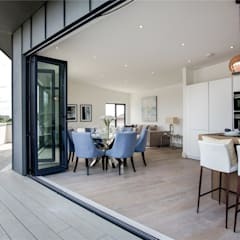 It is also crucial to take into account all of the smaller details in a room too, from the windows to the furniture – everything needs to be considered when it comes to the modern style! 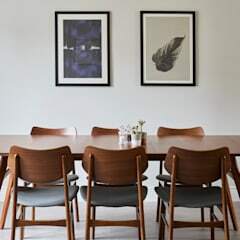 As the modern styling theme is about minimalism, it is important to make sure that all of the pieces you choose are needed – a modern style tables and chairs can suffice, do not overcrowd your dining room. If you are running short of ideas, then check designs for your particular room size. 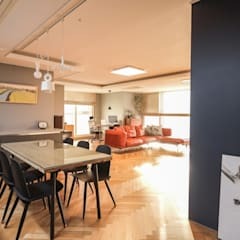 With homify you are able to save the pictures which you like into an ideabook so that you can remember exactly what it was that you liked about each one! This is great for if you need some inspiration. When you are designing a modern dining room, you should try and account for the amount of people that you feel will be using the room. This means making sure that you choose a big enough table and enough chairs to accommodate for your family and also friends. This can often be difficult but there are certainly ways to make sure you can accommodate everyone! If you have a small room, then you should make sure to use chic furniture which does not crowd the entire space. 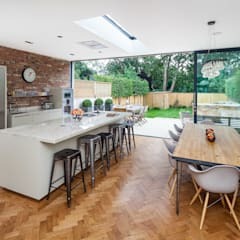 If you have a room which is large, but the number of people using it is small then you can add many other fixtures to the room besides the dining table, so long as you keep to the modern theme. A great idea for the modern theme is to ensure you have enough storage, this way you can keep your room looking minimal more easily! Examples for this include having wall cabinets as they offer a lot of space for storage and for decoration. 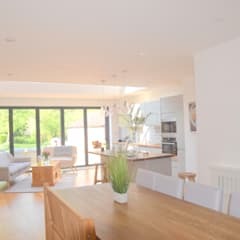 What wall colour should I choose for a modern dining room? 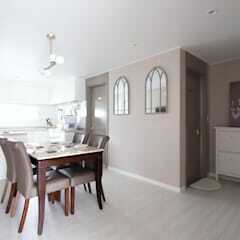 The modern style often works best with neutral colours. 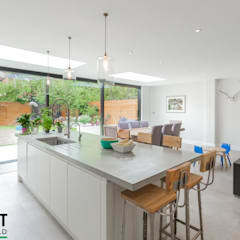 If you have a modern theme throughout your home, then this look can become quite dull if not done correctly! Making sure to choose your colours in advance is a wise idea. For a dining room you should choose a colour which you find relaxing, it is important to create the right atmosphere here! An option for the modern dining room, if you do not fancy a plain look, is to use a patterned wall paper. Something which should be kept in mind is that the furniture and the wall décor work well together. If you choose to have light coloured walls, then lighter furniture is also a perfect choice. 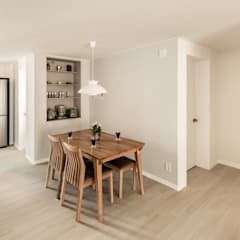 What flooring should I put in a modern dining room? Your flooring should depend upon your wall choice! There are many different modern floor choices which can be overwhelming when you first begin. Whether you prefer tiles or wooden floor, there can also be many choices within this choice! Wooden flooring works very well with the modern theme – it compliments wooden furniture or even glass furniture too. 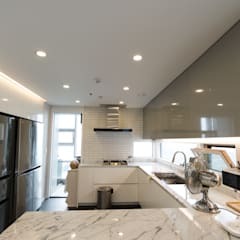 Normal marble flooring or any other form of stone also looks good depending upon the walls of the room and the rest of the house! 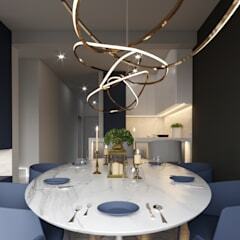 There are many tips and tricks you can employ when decorating your perfect modern dining room. 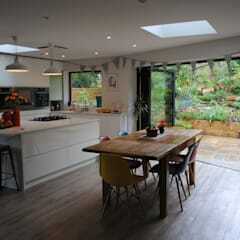 Small ideas, from making sure you have the perfect lighting and bulbs, can make a huge difference in a room. You should also make sure that all the necessities for a dining room are in place, especially if you have a larger room. Everything for laying the table should be kept nearby, so long as you have sufficient storage! For the modern style, everything should be clean and look tidy with the beautiful furniture and fittings. If possible, you should make sure the area has natural light, preferably from a window to help keep the room fresh. 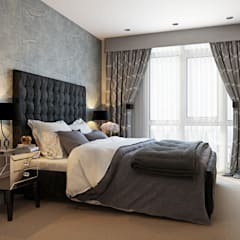 Choosing a blind which works for the modern style can also be difficult so it is worth researching this in advance too! 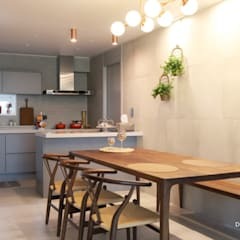 While buying the modern dining furniture one should make sure they are simple, elegant and in sync with the overall theme that has been decided. It would be wise to invest in furniture that is easy to clean and not likely to get worn away if food or liquids are dropped on it. Also, many people prefer to buy decorative items that are linked to food or eating like pictures of vegetables or wine glasses and even wine bottles. Dining room furniture includes not just the dining table and chairs, but also wall cabinets, wine holders, side tables and side cabinets etc. It is easy to get carried away when buying dining room furniture but one needs to be careful that they have space to accommodate all the things they buy. 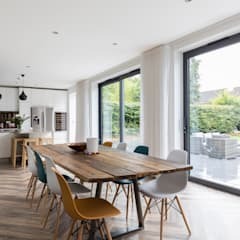 If you have a small dining room, you do not need to worry about not being able to create a welcoming atmosphere; you can still have a perfect modern feel with careful planning! There are many different options and you can find some of the best small dining room ideas for décor easily at homify. 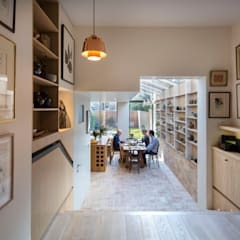 So long as you make sure to have sufficient storage, there is no reason that your dining room should not work perfectly with a modern theme. You should also make sure to properly measure the size of your room before buying any furniture to make sure that your table and chairs work well. Great tips which work well include keeping the décor minimal, the wall colour light and bright and floors lighter too. You may also consider including mirrors in your room as these can make a space look spacious and large when placed correctly. Which dining room design is right for me? 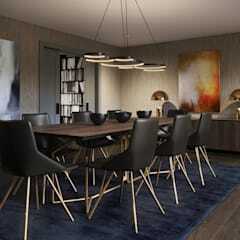 The modern dining room style can work brilliantly for any home and is a very popular choice currently. 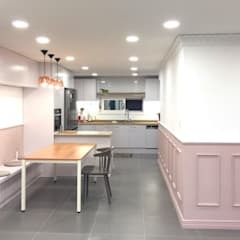 However, if you have young children or feel like bringing colour or more personality into your home, then there may be other looks which work better for you. It is a wise idea to check some of the other options before you begin decorating just to make sure you have definitely made the right choice! 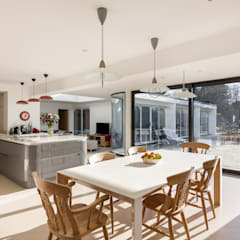 Below are some other popular options on homify for you to consider. The eclecticstyle dining room is one which you can have fun with. If you have children, then this look can also work very well as it does not rely on the use of whites and neutral colours! This look also works very well with accessories. The classic style dining room works very well if you are hoping to impress your guests. The name suggests that you should keep your look expensive and classy! You should try and create a room full of grandeur and opulence. 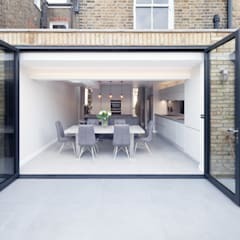 If you have a tight budget then you are still able to create a classic dining room but planning will be very important!